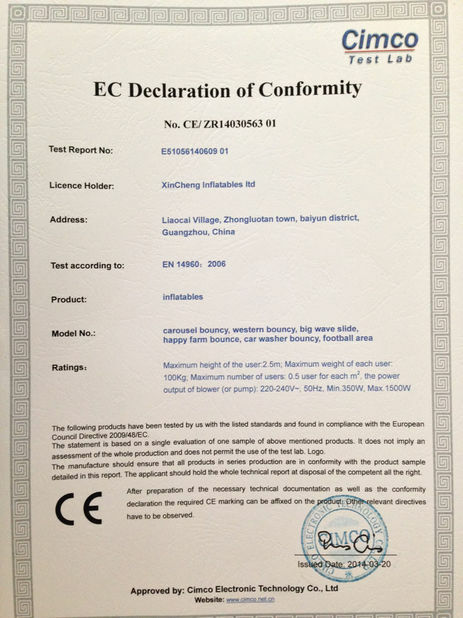 In the production process, Xincheng inflatables integrates many advanced and skilled techniques. By using high-end automated cutting machines, we can accurately cut and prepare the material for a near perfect assembly. In the production process, we use only high end welding machines and digital printers which equate to a more overall efficiency. 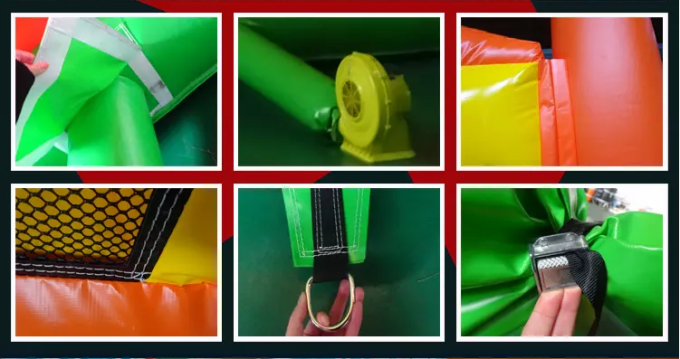 Another side,we take seriously the safety requirements and regulations with regards to the inflatable amusement industry. 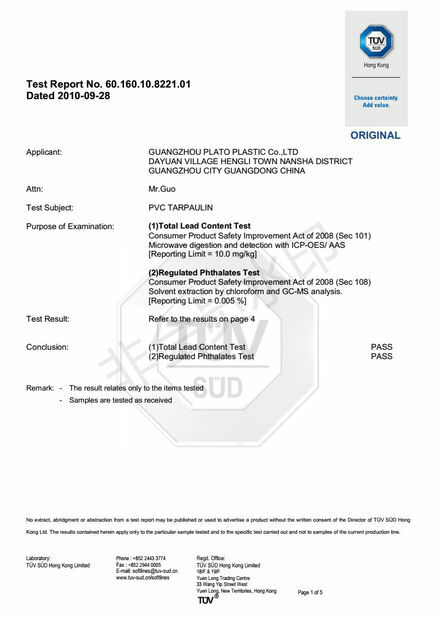 We also have high regard and concern when it comes to the environmental protection issues, regarding the vinyl and its chemical composition; therefore we use only Lead Free materials which meet the European Safety Standard. 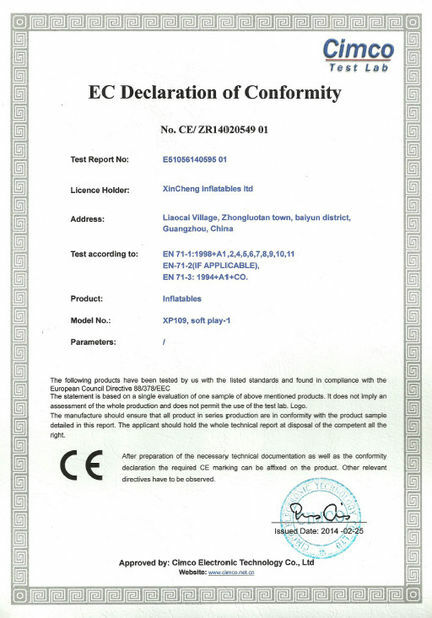 Our digital printing ink all comply with the SGS testing, printing industry standard.